Prior to founding Evan D. Appell, P.A., Evan was a shareholder at GrayRobinson, P.A. Evan has represented both private and public sector clients, including government agencies. Evan practices in both state and federal court and has handled numerous matters in arbitration. Evan has a broad range of experience representing clients in commercial litigation matters, creditors rights disputes, insurance coverage disputes, healthcare and ERISA benefit claim disputes, shareholder disputes, contract related matters and other civil litigation matters. 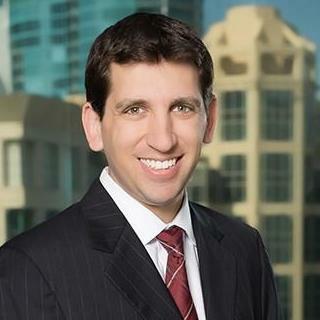 Evan has been selected as a Super Lawyers, Rising Star for Litigation for the past three years. "I would highly recommend Evan for any and all legal services and advice. His levels of knowledge, professionalism, and integrity are unmatched, as well as his ability to make his clients feel comfortable every step of the way, even in complicated situations, while achieving a favorable outcome. He was in constant communication with me at all times, always updating me and discussing strategy. I will never work with anyone else." "Evan was great to work with and was always able to answer my questions in detail. He was able to assist me even during evening hours due to my work during the day as I could not meet in the daytime. He is experienced and very knowledgeable in a variety of business matters. Would highly recommend! Thanks Evan, keep up the great work!" After nearly a decade at one of Florida's largest and most influential law firms, I decided to open up my own firm and continue to provide quality work to my clients. Prior to opening my own firm, I was a Shareholder at GrayRobinson, P.A., one of the largest law firms in the state of Florida.